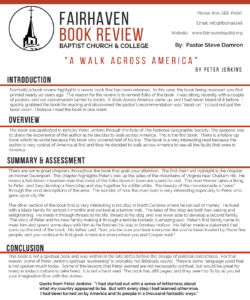 This week’s book review is from A Walk Across America by Peter Jenkins. Download a pdf of the review here or click on the picture below. You can purchase the book here for a limited time for only $8.50 including shipping.